Having a credit card can be incredibly convenient. It’s unbelievably easy to make payments without money in your account and you can earn frequent flyer points while doing it. So what’s the catch? We’ve put together a list of 9 common mistakes, traps and general fails so you can use your card in a smarter way. 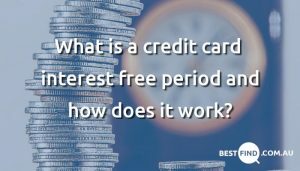 Credit card interest is only charged when you don’t pay off your outstanding balance at the end of each month/interest free period, and yet this is a common credit card mistake for Aussies. By making complete repayments each time your statement/interest-free period is over, you can avoid all credit card interest permanently and avoid this fail. Annual credit card fees are so common, most Aussies typically assume they are standard. However, annual fee-free cards are available from many providers and an online search for these products could help you cut between $50 and $1,000 yearly. $0 annual fee credit cards don’t always offer the same rewards as premium cards, so if you’re not planning to capitalise on the rewards offers – it could be worthwhile avoiding the annual fees. Possibly the biggest and most common credit card trap is the interest and fees of paying back your money too late. Late repayments will always incur interest, and even worse they can negatively impact your credit rating. It’s easy to avoid this mistake by setting up a direct debit from your account to cover your repayments at the end of each cycle, so what are you waiting for? Unless paying off your bill entirely is really not an option, minimum repayments only play a role in helping you dodge late fees. It’s another credit card mistake that Aussies are guilty of, as once again they involve interest fees. Your outstanding balance will carry over to the next statement cycle and will most likely also mean giving up next month’s interest fee days. 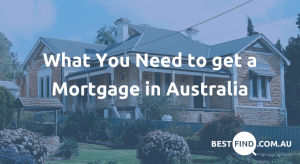 Credit card providers can make heaps of money at your expense this way, so if it’s possible, try to pay off your entire outstanding balance (or more than the minimum). Another avoidable credit card trap involves spending more than your credit limit allows. Once again, this can make your credit rating go down. At the same time, it’s a sure way to be hit with overdrawn fees. If you’re exceeding your limit because you’re struggling to cover your cost of living, more fees will be the last thing you want. It’s recommended that you set yourself a monthly budget for your credit card spending, and something a lot lower than your credit limit is an ideal way to avoid this credit card mistake. If someone steals your credit card, the last thing you want to do is treat them to dinner. When your card gets lost or stolen therefore, don’t rely on your bank’s security measures. This way whoever may find your card won’t be able to charge their celebration surf ’n’ turf to you. Interest-free days are a great time to spend with your credit card, as they give you a certain number of days to pay off the purchase without incurring interest. By planning your larger purchases towards the start of the statement cycle when these days begin, you’re giving yourself much more time to pay them off. All without the hassle of paying interest. Learn more about interest free periods. If you do make good use of your interest free days, it’s important to avoid the credit card trap of not reading the fine print. All too often it’s easy to get excited when your credit card company advertises a 44 or 55 day interest-free period, for example. The common mistake cardholders usually make here is skimming over the details, making it easy to fail by assuming the interest-free period starts from when you make your first purchase. Interest-free periods actually start from the beginning of your statement cycle, so it’s a good idea to be clear on the exact dates of this period. If you make a large purchase too close to the end of this period, it’s easy to get caught out with only a few days left to pay this off. Using your credit card like a debit card is not advisable. 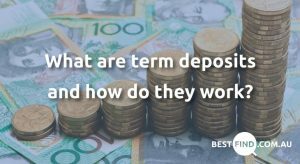 By this, we mean that withdrawing cash from the ATM comes with cash advance charges, which are like interest payments but at a higher rate. Cash advance interest fees are also immediate, so you can’t avoid paying them through interest-free periods. It’s much better to avoid this trap by using your debit card, even if it is at the bottom of your bag.